Growing up in Stevens Point with my dad working at the Stevens Point Brewery, I certainly knew we were famous for local brews. I&apos;ve experienced most of the Central Wisconsin Craft Collective through their beverages, but I realized I&apos;ve only ever visited two of the six! Each of them has their own unique style and care for their brand, so visiting each and everyone will be an absolute treat! I&apos;ve always known that the Green Circle Trail existed and even walked portions of it, but I&apos;ve never fully appreciated the unique aspects that each section of the trail brings. This is a phenomenal asset of our community that I&apos;ve taken for granted and hope to hike the whole trail - at least in parts! I think many of us are guilty of eating at the same places over and over again. But you don&apos;t have to go far for unique food experiences, because we have plenty right here in Stevens Point! [a-soshel], Father Fats Public House, and Wissota Chophouse are just some of the unique places that are on my try list. Don&apos;t stay home every night! Nearly every day, especially the weekends, there are many events going on in the Stevens Point Area that will change up the monotony of your week. Something I plan to do is to try and get out to see live music every week, as there are plenty of options to do so! 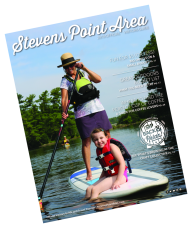 Check out events in the Stevens Point Area here. First, on my list? Spending more time in Amherst and Rosholt. They may seem like just another two small towns Wisconsin, but there&apos;s more than meets the eye. I&apos;ve found several places that I want to visit. Amherst is home to Central Waters Brewing Company, a Craft Collective partner. You can get a bite to eat at the Landmark or Ambrosia Pub & Grill. For consignment and antique lovers, the stores Falcon One Stop and Antiquity Acres are a must visit. 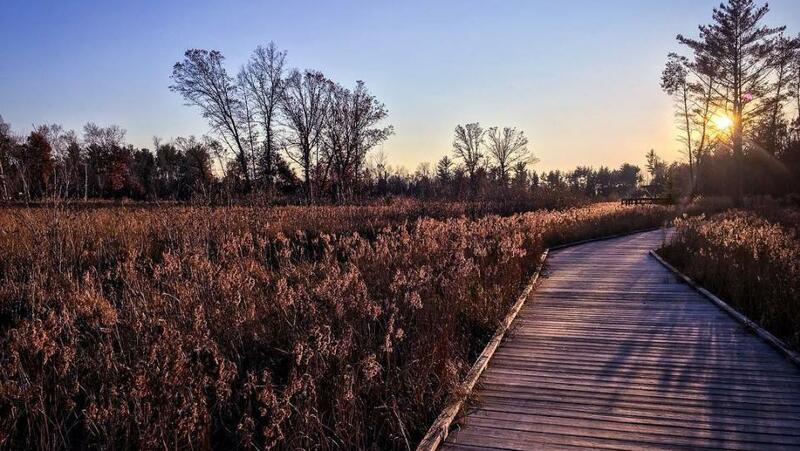 Lake Emily County Park and the Tomorrow River Trail are a great stop for outdoor lovers. In the nearby Nelsonville, you can get your coffee fix at Ruby Coffee Roasters or your art fix at Judah Studios, and visit the historical Rising Star Mill. Rosholt boasts both McZ&apos;s Brew Pub and Kozy Yak Brewery and Winery. Grab a bite at Flume Creek Family Grill or Sunshine & Grzyba&apos;s Rosholt Cafe, or if you just want to shop, head to Rustic Raven&apos;s Antiques Oddities & the Unusual Wine & Gifts. Or, experience The Nest Art Studios and Gallery. If you&apos;re like me and like to spend time outdoors, the Benn Conservancy will be a great stop. Do you have a hidden gem in the Stevens Point Area? Share your favorites by adding #stevenspointarea on Instagram. Be sure to add the location and make it public for all of your friends to see!